The second argument mode specifies the purpose for which the file is opened. Each file has two associated pointers known as file pointer. 1. Input pointer(get pointer) is used for reading the contents of a given file location. 2. Output pointer(put pointer) is used for writing to a file location. The parameter offset represents the no. of bytes the file pointer is to be moved from the location specified by the parameter refposition. put() and get() are designed for handling a single character at a time. write() and read() are designed to write and read blocks of binary data. This means that values are stored in the disk i the same format in which they are stored in the internal memory. The first argument is the address of the variable V and the second is the length of the variable in bytes. 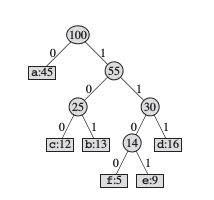 The address of the variable must be cast to type char *(i.e. pointer to character type).